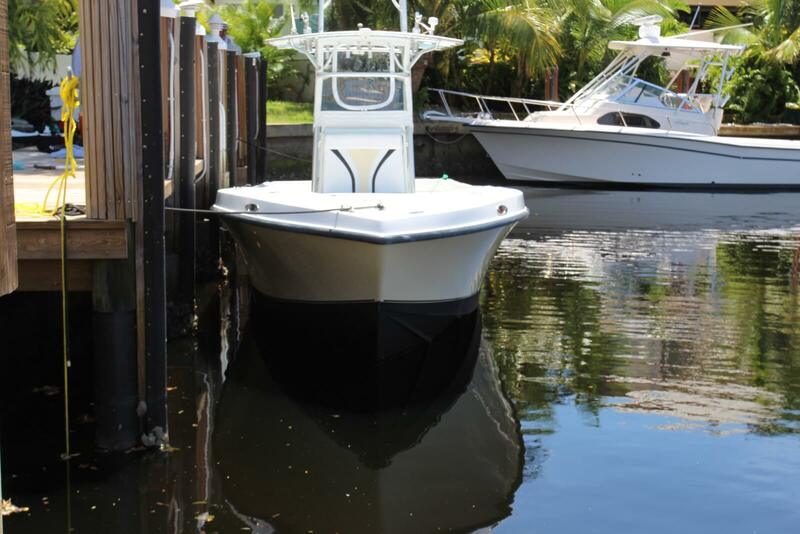 In August 2016, we were asked to restore a 2003 SeaVee, which had lost its yellow color being exposed to the harsh Florida sun by applying our ceramic marine coating. 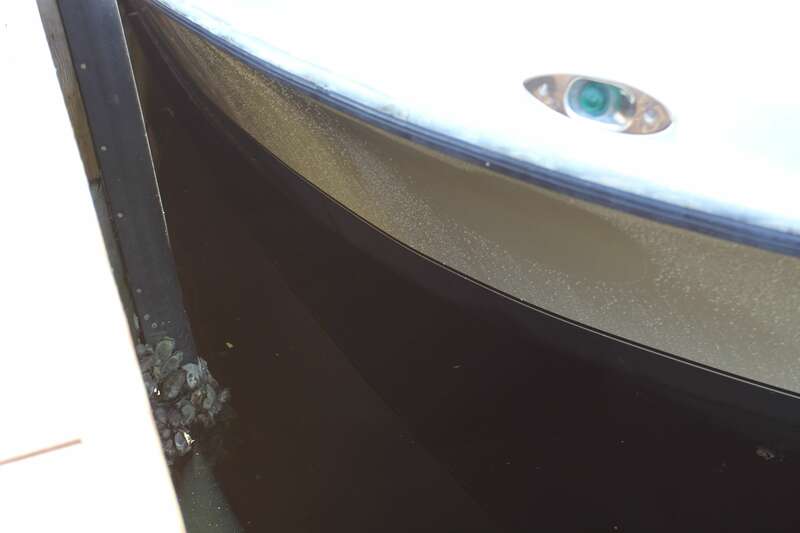 Given the port side of the boat was exposed to the intense Florida sun, day in and day out, that side of the boat was almost white in color, versus the original yellow. The challenge, restore the original color and bring back a degree of gloss and shine. The owner was seriously looking at painting the boat but the cost was prohibitive, given quotes of almost $10,000. We went through a multi-step process, including using heavy degreaser and acid wash to remove all the stains, as well as a Nano Wash, Compound and Polish. 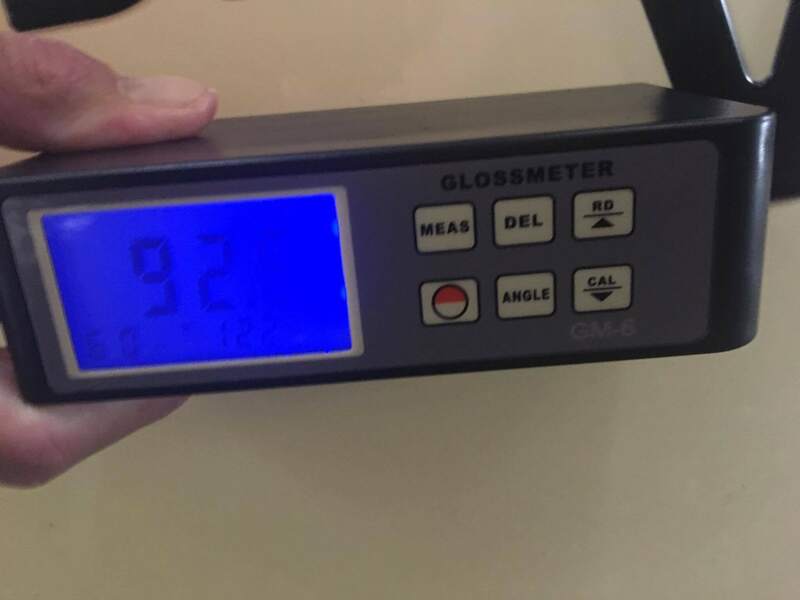 Through these steps we were able to increase the Gloss Readings on our meter from single digits to 40’s and 50’s after polish and upwards of 92.4 once our ceramic marine coating was applied. 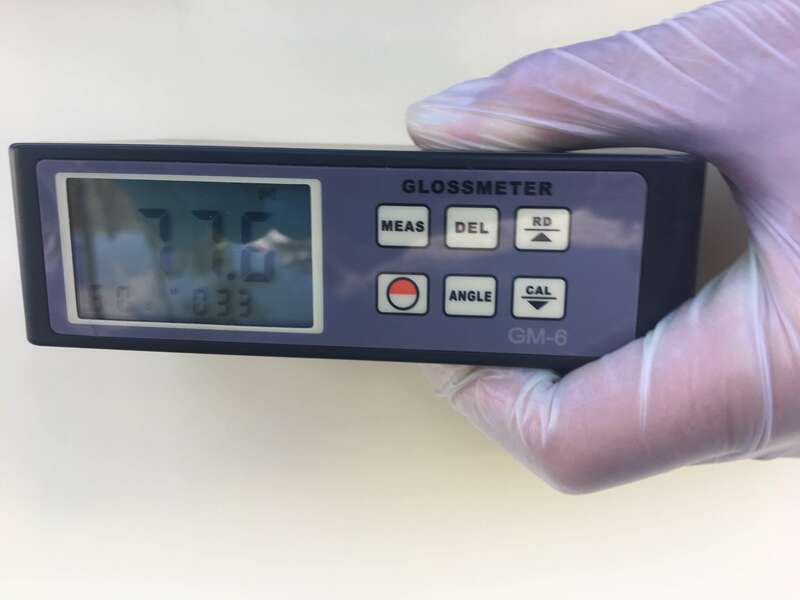 In August 2017, the port side readings averaged 77.6 which reflects a reduction in gloss meter reading of 9.3%, which given the continual exposure to the sun is minimal. The starboard side, which is not exposed to the sun, up against the dock and partially covered by a tree, had an average reading of 92.4 when coated. The reading a year later was 92.2 for a drop of just .02. In August of 2017, we were invited back by the owner to see how the ceramic marine coating had performed over the last 12 months in the Florida sun. Overall, the boat looked great and the owner was impressed with the ease of maintenance. 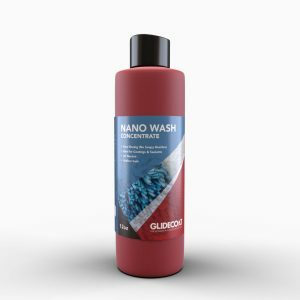 Given the Hydrophobic nature of the ceramic marine coating there was no staining at all and maintenance was simply washing down the boat with water and Glidecoat Nano Wash once a month. Even a day out fishing just required a quick rinse when returning to dock. The key test though was the Gloss Meter Readings. In August 2016 the port side readings, which was exposed to the sun all day, reached 86.9, whereas the starboard side reached 92.4 after the Glidecoat Liquid Crystal application. Overall, the findings were similar to other boats we have monitored over the years. On average readings when the boat is in water and exposed to the sun, all year, will reduce by 10% a year. Where the boat is trailered, kept covered in a storage facility or covered and not kept in the water all year, a reduction in gloss readings of 3-5%. In parts of the country where boating is more seasonal, so in the water 4-6 months we see similar reductions of 3-5%. Note these percentages are averages and might be different across the country, based on use, storage, exposure to the elements etc. Given the Hydrophobic nature of the coating there was no staining at all and maintenance was simply washing down the boat with water and Glidecoat Nano Wash once a month.